Mr. Gunjan Singh the respected owner of Web Click India has proudly announced the publication of 170 active articles on EzineArticles. EzineArticles is a great platform and there are so many active authors on this high ranking article submission site, including Gunjan, a Basic Plus Expert Author. He starts submitting articles in the year September 2015 and within a very short span gets the certificate of an expert author. His article topics mostly focus on Ecommerce, Web Design, Social Media, SEO, Blogging, Creative Writing, Internet Marketing, Email Marketing, Branding, Domain Names, Article Marketing, Web Hosting etc. His articles get more than 7000 views in just one year because of the quality of content that has the potential to grab the attention of its visitors. He follows all the necessary editorial guidelines of EzineArticles and his today’s achievement is the outcome of his hard work. All topics written by him are perfect to lead a path to the entrepreneur who looks for marketing assistance. 170 Articles and more than 7000 views is a great achievement for him in a very small time period. He is happy with this great victory and commits to work hard to enhance their performance. 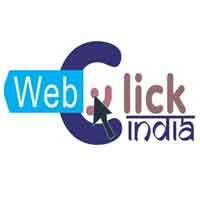 Mr. Gunjan Singh is the founder of Web Click India is a person who loves to take challenges and do his best to win them like a pro. His company aim is to design and develop a beautiful website and promote them over the internet or intranet. He has more than hundred happy and satisfied clients from India and Abroad as well. His aim is to provide opportunities at your doorstep, so, your business can grow nationally as well as internationally. Their services are pocket-friendly and can never burn a hole in your pocket. From their hard work and great achievements now Web Click India gets the certificate of ISO 9001:2008 for rendering professional Website Designing, Development and SEO Services.